This is general information for some of our rental units that renters may tow with their qualified personal vehicles. 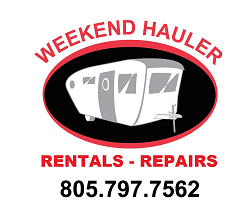 Please note pictures are representative of the trailers we offer and may or may not be of the actual trailers. 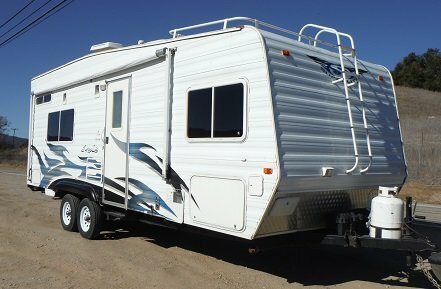 Our rental inventory will be changing as we acquire new trailers and sell well-maintained retired ones. Length: 22 feet (bumper to tongue), Height: 10 feet. GVWR: 5,600 lbs, Tongue: 345 lbs, Payload: 1,600 lbs. GVWR: 6,400 lbs, Tongue: 636 lbs, Payload: 2.200 lbs. Slide out couch area. 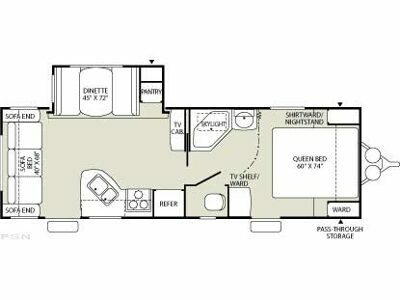 Sofa bed, Dinette converts to bed. Queen bed. Radio/CD, TV/DVD. Awning, double entry doors. Length: 26 feet (bumper to tongue), Height: 10 feet. GVWR: 7,524 lbs, Tongue: 524 lbs, Payload: 2.000 lbs. Length: 32 feet (bumper to tongue), Height: 10 feet. GVWR: 7,700 lbs, Tongue: 750 lbs, Payload: 1.900 lbs. Length: 29 feet (bumper to tongue), Height: 11 feet. GVWR: 7,838 lbs, Tongue: 838 lbs, Payload: 1,922 lbs. 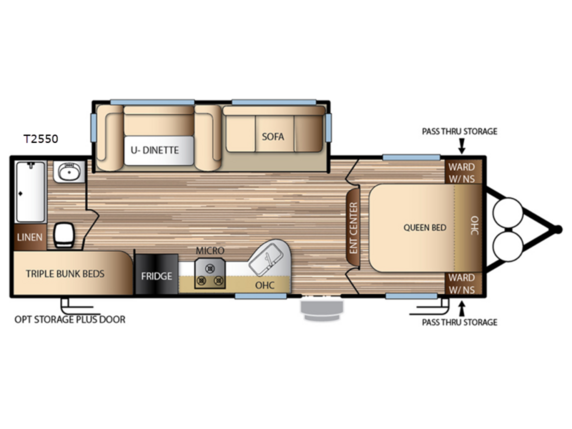 Queen front bed, rear Queen drop down bed, 2 sofa beds. Length: 23 feet (bumper to tongue), Height: 10 feet. GVWR: 7,600 lbs, Tongue: 636 lbs, Payload: 2.800 lbs. 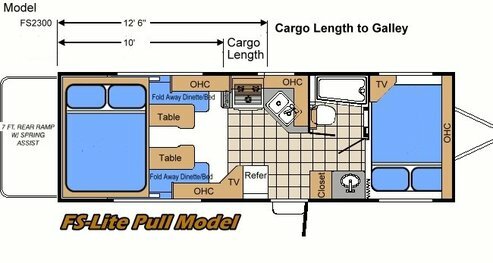 Wood Deck: Length: 18 feet, Width: 6.8 feet. GVWR: 12,000 lbs, Tongue: 650 lbs, Payload: 9,400 lbs.